The energy-saving Amana 14.3 Cu. 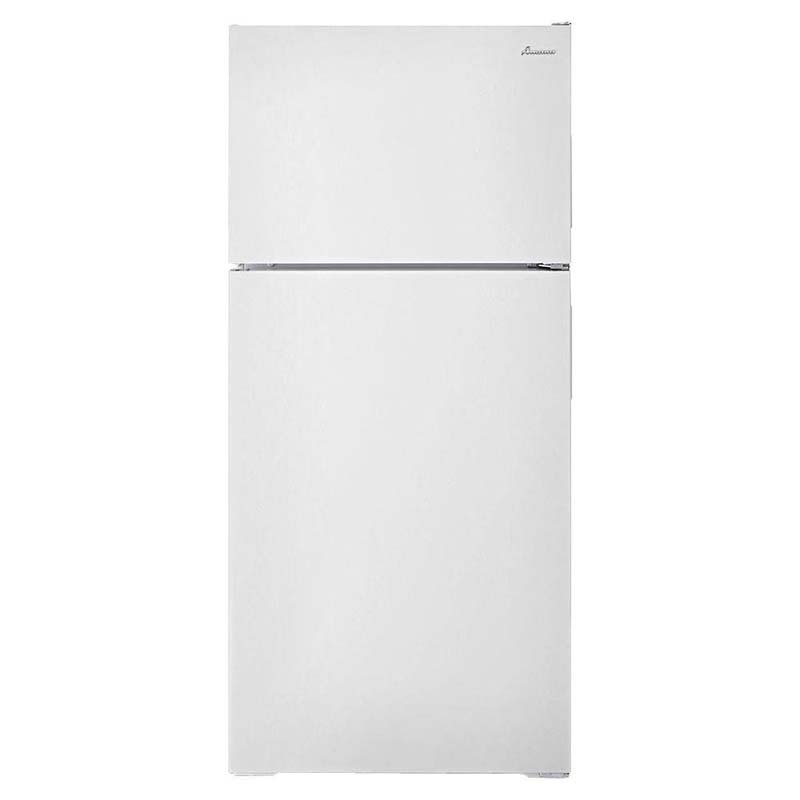 Ft. White Top Freezer Refrigerator will provide you with plenty of space to stock up on your family's favorite foods! This model features gallon door bins, a full-width crisper drawer, adjustable shelving, incandescent lighting and a user-friendly temperature control system. The freezer is 3.87 cu. ft., and the fresh food compartment measures in at 10.46 cu. ft.